Six months into Haiti’s most recent political crisis, popular uncertainty and frustration are palpable – amid indications that even the Obama Administration may be tiring of corruption and mismanagement under President Martelly. Officials in Washington in April expressed concerns over the abrupt release of gang leaders alleged to have ties to Martelly who had been held on kidnapping charges. Recent U.S. Embassy tweets have focused on the importance of press freedom and free and fair elections. Protests are a regular occurrence, and anti-government graffiti covers buildings throughout Port-au-Prince. Martelly’s network of old friends – whom some long-time Haiti-watchers have called “nefarious characters” – has been politically useful to him, and various press reports indicate that criminal prosecutions against them for drug trafficking, kidnapping, and worse have mysteriously dropped off the books. Criticism of his record on other issues is also strong. A visit from Beyoncé on May 16 led the US Embassy to ask its Facebook followers: “Where should she go to see the progress in Haiti? Let us know!” Social media users mocked, “What progress?” and derided the embassy for asking. Washington politics, such as criticism of Bill and Hillary Clinton’s role in Haiti, is further casting a shadow on Martelly and his government. The country has made partial progress towards holding its long overdue elections, but – if history and Martelly’s record are any guide – obstacles could easily arise. A list of candidates has been approved, and dates have been set – August 9 for Parliamentary elections (all 118 seats in the Chamber of Deputies and 20 of the 30 seats in the Senate). Presidential elections will take place on October 25, with a December 27 runoff if necessary. But the process has not been without controversy: a quarter of the 2,039 who had registered to be candidates have been disqualified for various reasons. (First Lady Sophia Martelly wanted to run for Senate but was not accepted because she is a U.S. citizen.) As the government has not provided explanations in most instances, accusations that the exclusions were politically-motivated abound. Martelly’s carefully calculated consolidation of power over the last four years has led many observers in Haiti to wonder whether he will actually make elections happen and leave office on schedule. Many of them are perplexed by what they perceive as steadfast U.S. support for him. Even in January, when an agreement on elections fell through once again and Martelly commenced to rule by decree, the State Department’s admonishment was widely seen as weak. Rather than building bridges at home, Martelly has often appeared more externally focused – capitalizing on his ties to the Clintons, who along with the OAS helped him secure the contested presidency in the first place; declaring that Haiti is “open for business”; and holding his historic meeting earlier this month with French President Francois Hollande. Indeed, the Hollande visit resulted in yet more protests in Port-au-Prince’s streets from those frustrated by France’s refusal to pay reparations for past abuses – such as the “independence debt” that France demanded, which consumed 80 percent of Haiti’s budget for 125 years (the equivalent of $17 billion dollars today). 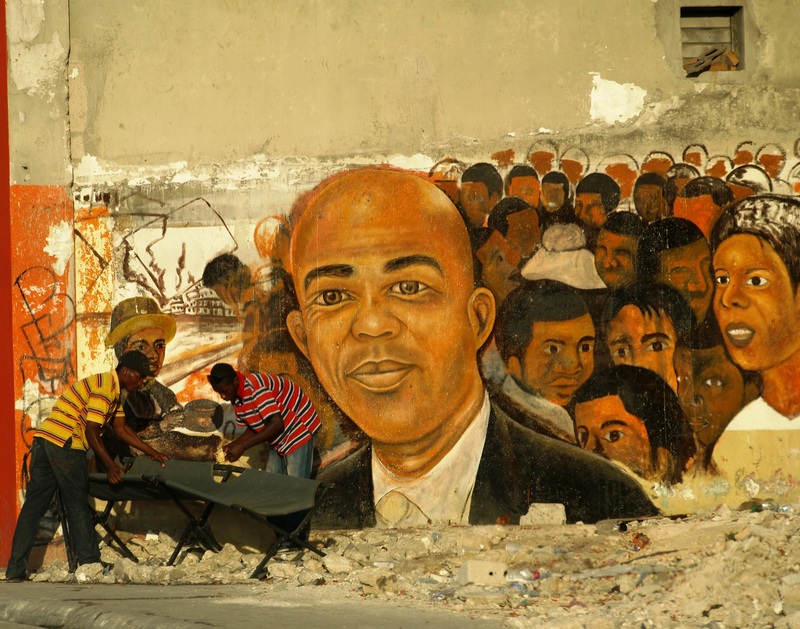 Predictions about the elections and transition of power at the end of the year would be premature, but Martelly already seems to have squandered his chance to leave a legacy of progress, institution-building, and stability for the nascent Haitian democracy.